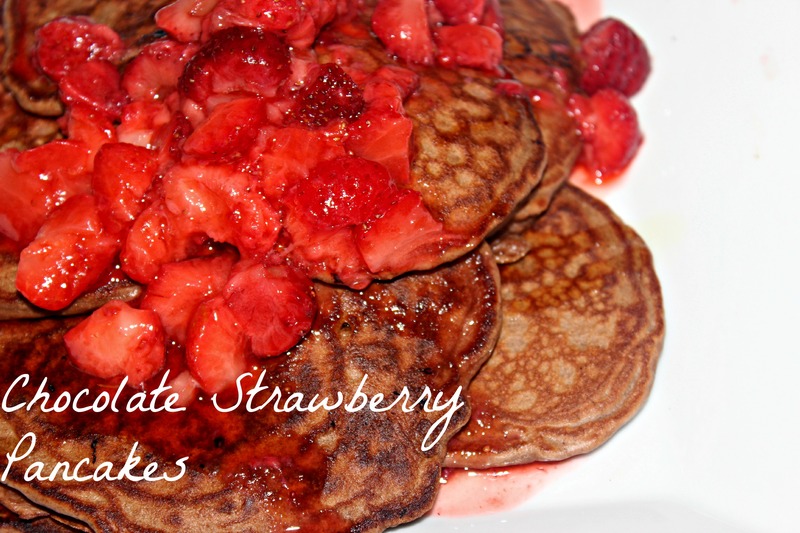 Chocolate Strawberry Pancakes and Weekend Festivities! This weekend was FUN. It was the perfect combination of relaxing and going crazy. The best kind of weekend. I ended up working in the morning on Friday and then heading home due to Sandy. All of the offices were closed on the east coast. There were also school closings for the hurricane. A HURRICATION! Anyways, I went out with some friends for Halloween on Friday. I was dressed as the Black Widow and the other two girls were super girls too. the boys went as the most terrifying clowns. When Brent put on his mask, Oreo went from happy puppy to the most terrified puppy in the world. She wouldn’t even go near him. In the morning, I really wanted something terrible for me. Sometimes, I just need that. Haha. However, I still found a way for it to be healthy. MER. BUT DELICIOUS! 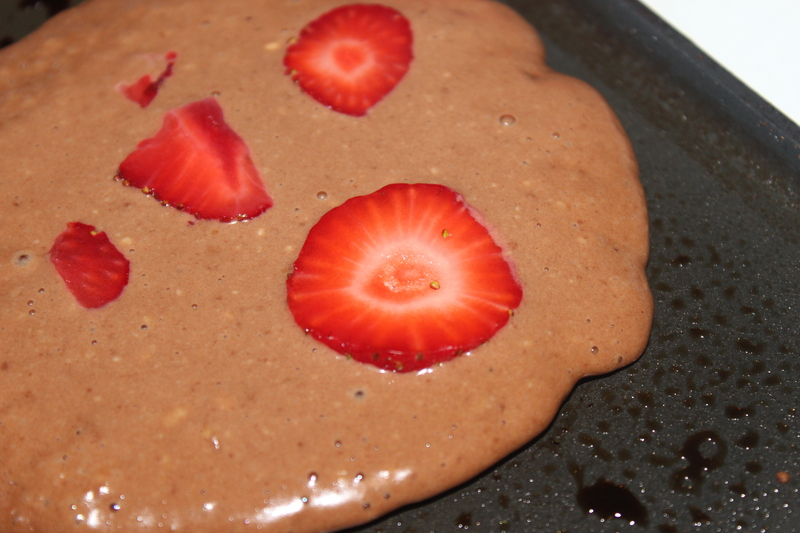 Chocolate Strawberry Pancakes! Ohhh YEaaa Baby. 1. In a bowl, mix all of the ingredients. Heat up a skillet to medium heat. 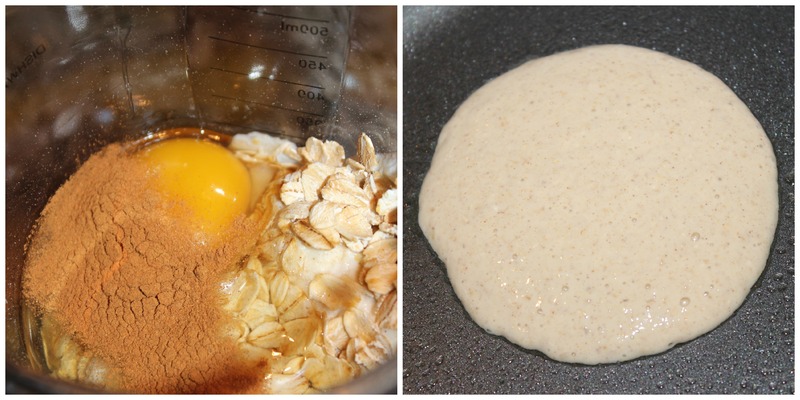 Spray it with a non-stick spray and place a 1/4 cup of batter on the skillet. When bubbles surface on the pancake, flip it. And FINITO! I topped it off with some frozen strawberries that I melted in the microwave and a bit of syrup. 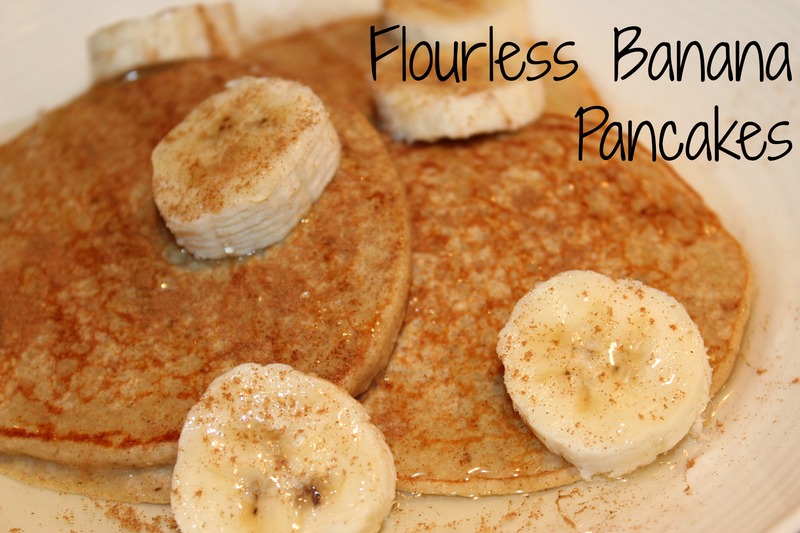 You can use pancake syrup, honey or agave. Any of them work out fantastically. I spent the day putzing around, and not doing too much. I met up with Brent and we went out to Wekiwa Springs Campground to watch the Gator vs Bulldog game. A friend of ours had a blow up big screen projecting the game out on the camp ground. SO MUCH FUN! the night was perfect for sitting outside and enjoying the game with some friends. The pups even got to enjoy the afternoon and come with us. I have never seen anything like them. There is nothing like these guys up north. 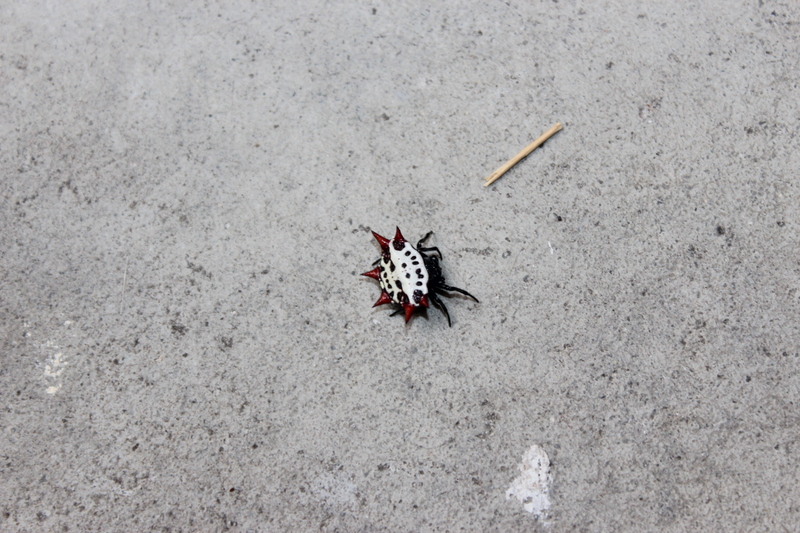 It is a spiny back orb weaver. They do make really cool looking webs and apparently they will bite you. But, I’m not going to lie, the Banana Spider that I came across last time I was hiking in Wekiwa Springs was definitely a little creepier looking. 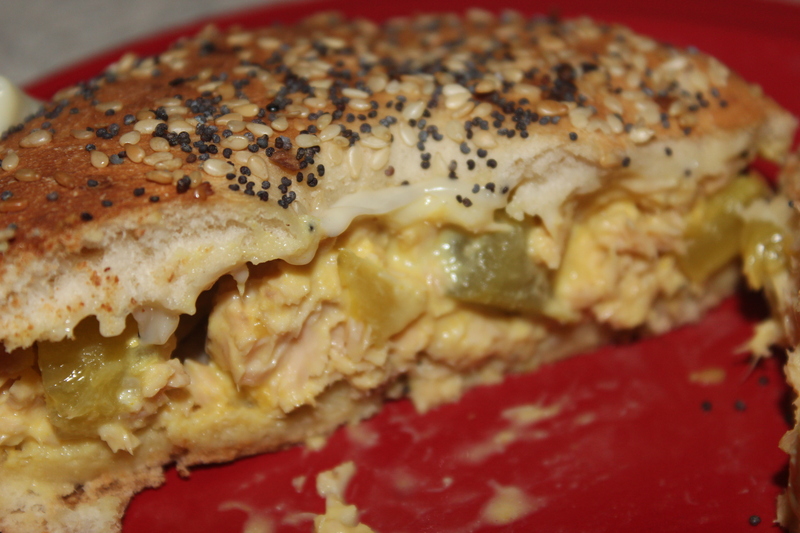 After making my backyard a safer place for the pretty little butterflies, I made a Salmon Salad Sandwich on an Everything Flat Bagel. So good. I forgot how much I like the canned salmon and it definitely tastes better to me than the tuna salads. I feel like there is more flavor to the salmon. 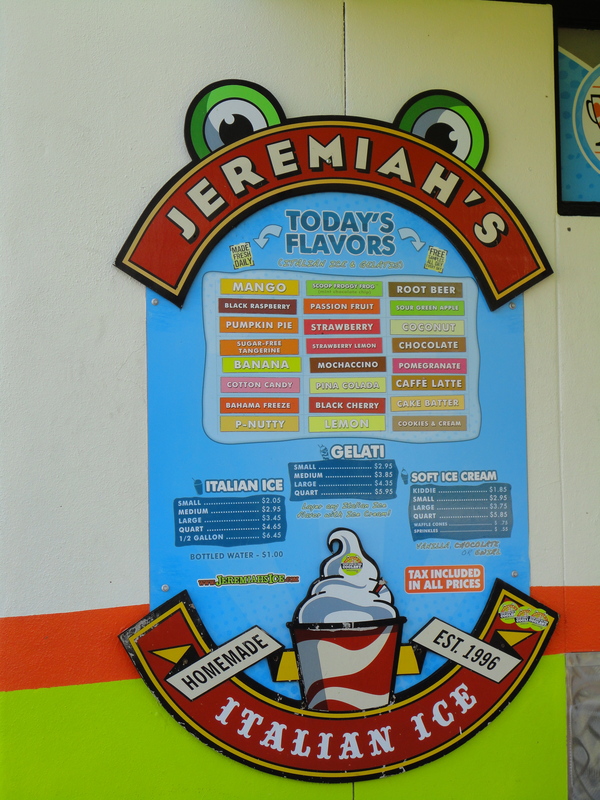 Last, but not least, I FINIALLY GOT TO GO TO JEREMIAH’S! I was so excited to give it a go. I’ve been hearing such good things about it that I’ve just been looking for the opportunity to go. 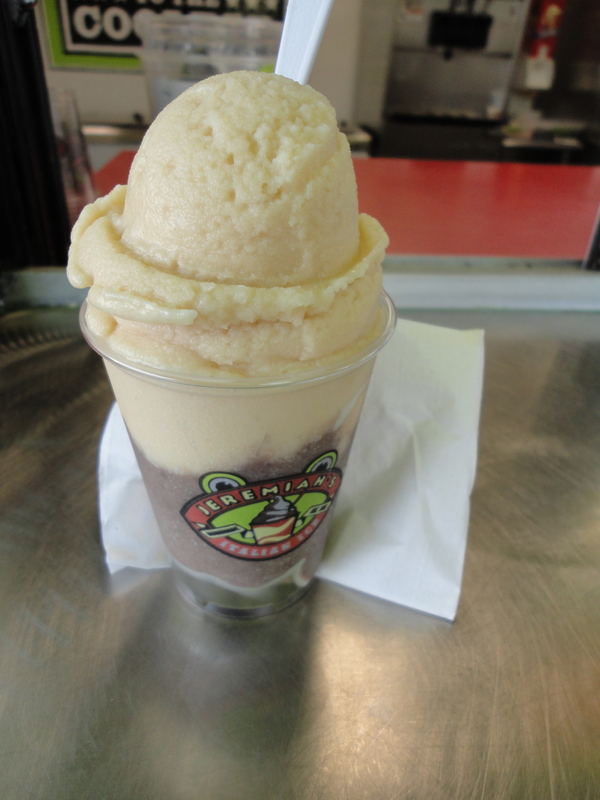 Jeremiah’s is an Italian Ice place that makes all of their italian ice daily. YUP. They change up their flavors everyday. I’m the weirdo that asks what the best flavors are and holds up the line. After literally quizzing this poor woman on all of their flavors, I decided on Peanut Butter and Cookies and Cream. The cookies and cream tasted like they mashed up Oreos and mixed it into italian ice. So freaking good. The peanut butter was also phenomenal. They are much creamier than I expected because when I think of Italian ice I think of that Lemon Italian Ice that we all had growing up. It’s tart and has more of an ice base I guess. This was more of a cross between italian ice and ice cream to me. But I loved it! Definitely going back! This is getting crazy long for a post so I’ll leave you with that! YUMMMM. What’s your craziest vacation day?? Hot Day?? Cold Day?? Northeastern?! Sandy?! Mine was definitely the cold day. Who even knew that existed! This entry was posted in Breakfast, Lunch, Orlando and tagged Breakfast, Camping, Chocolate, chocolate strawberry, cocoa mix, Easy, frozen strawberries, Italian Ice, Jeremiah's, Pancake, Protein, Salmon Salad, Salmon Sandwich, Strawberry, Strawberry Topping, Wekiwa Springs on October 29, 2012 by Sizzle Food.